Occasionally I will buy 2 litre jugs of milk for my kids. When they finished the milk, I always wonder what I can do with the jugs. 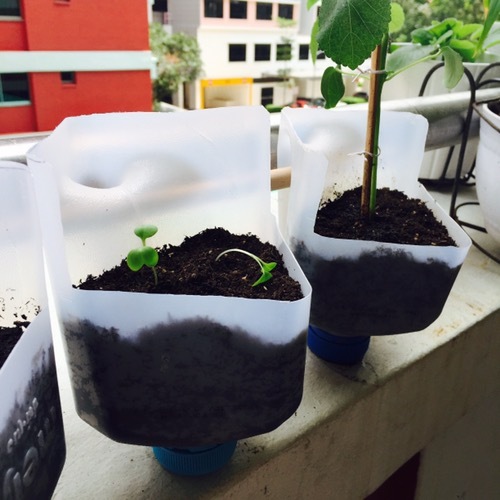 So I went online to search for jug hacks for gardening to be able to reuse them instead of recycling them. For gardening, I would always need to buy pots and pots. 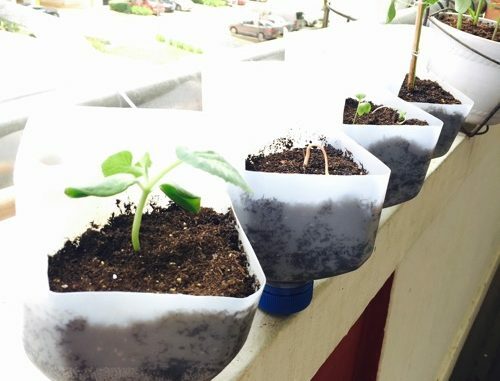 With this hack, I am able to save money from buying the pots and yet be able to reuse the jugs to use as a pot. 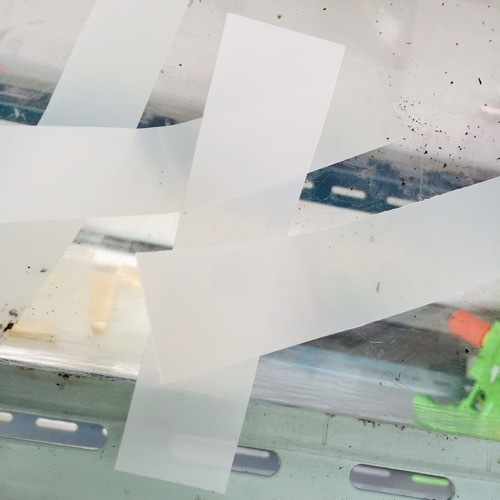 After cutting the containers, I am left with strips which can also be used as naming labels for my plants. I always forget their names and they all look the same when young! This is how they look like when I hook all of them using a rod, resting on the balcony ledge. 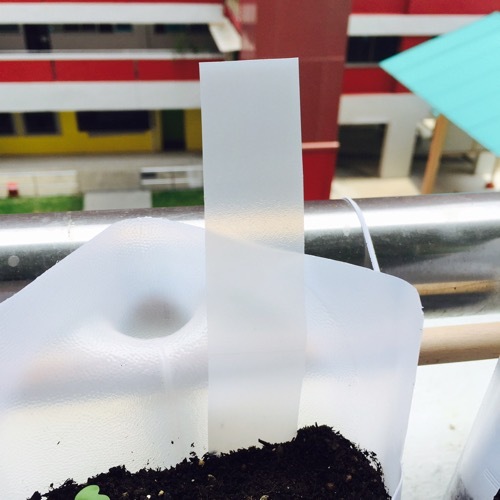 The handle of the jug when turned around has a hole and I thought that I can actually water the plant down the hole to reach the roots of the plants. Seems like a perfect idea! A closeup look of a container jug after hacking. It would look really nice if It can hold all sorts of plants but I think some of the species may be too big to fit into this small pot. So what to do with the other half of the jug? I have also reused it as a pot, with or without drainage holes. 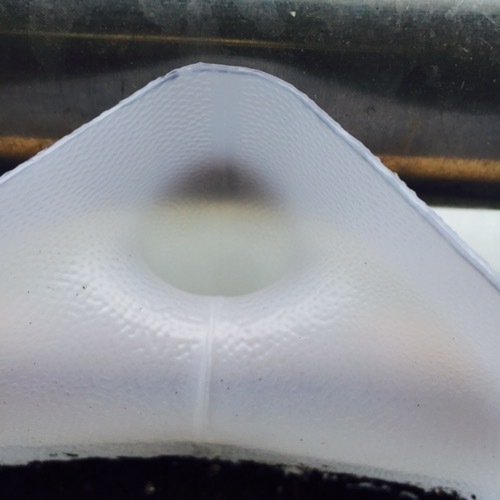 If you want drainage, you may drill some holes below or cut few slits to drain extra water. If not, it will still double up as a good pot to use. Most importantly you are not spending extra to buy another Made of Plastic pot. Save the earth!